Teams receive details of a slightly run-down leisure centre. While it still has a reasonable membership there have been no new facilities in recent years and current management is weak. Something needs to be done – and quickly. 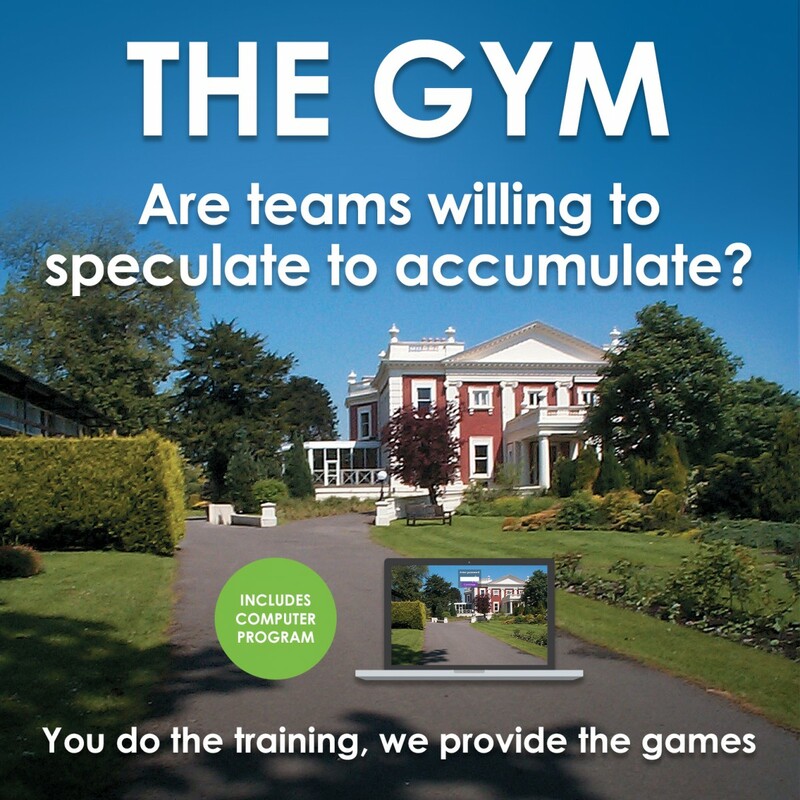 Teams complete a Decision Form each period on key variables (membership fees, marketing spend, staff numbers and pay) and can add new facilities such as tennis or squash courts, a spa or creche. Market research on competitors is available. 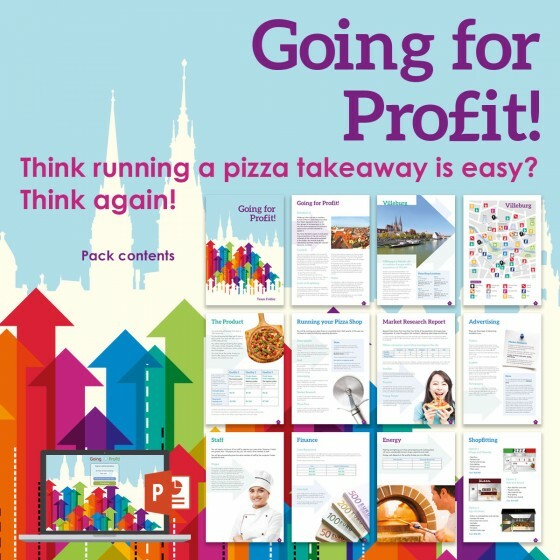 Financial reports are printed for each team every period – plus customer feedback and staff problems. Running a successful business is never easy! 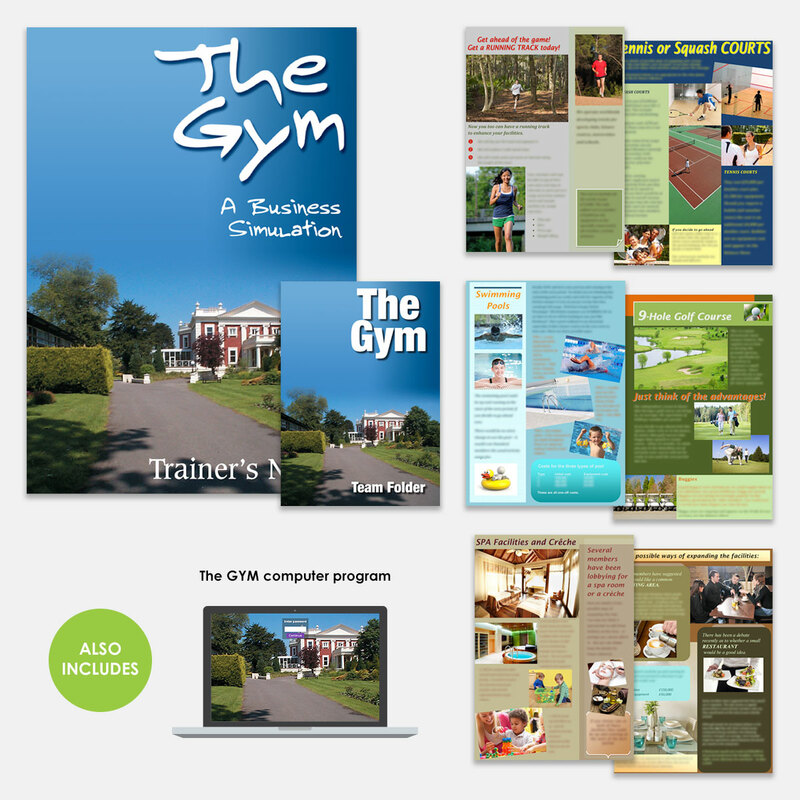 Comprehensive Trainer’s Notes makes this an easy activity to run. Excellent for our purpose to make NHS managers more commercial. 'The Gym' is a great business simulation - one of the best, real-world simulations I have ever used. It uses everyday business issues and has a huge emphasis on decision-making with multiple variables. The discussion around management, marketing and customer service is all very insightful. There is a need to work together and develop team cohesion and it sponsors great leadership and organization. Being able to see the financial impact of their decisions (from the computer printout) is very engaging for everyone. I used this activity with commercial technical underwriters (insurance sector). The best learning points were commercial & financial awareness; the need to 'be brave' and make sound decisions early on; that leadership doesn’t need to be assigned; and that everyone has the potential to display leadership skills. 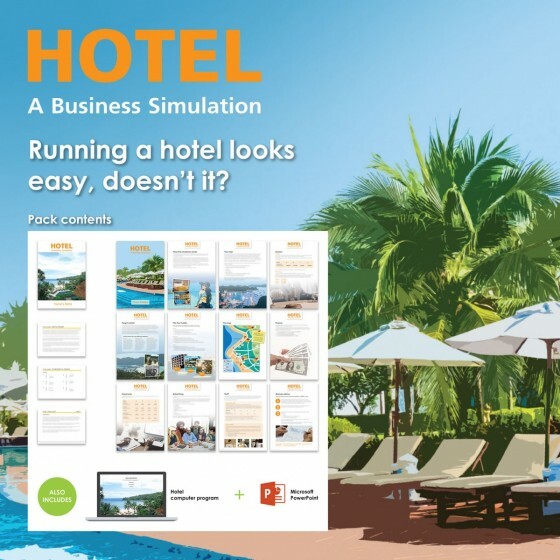 An excellent, cost-effective business simulation that provides solid examples and learning points that can be built upon through a training event for leaders. 'The Gym' was surprisingly easy to run and the learning points are easily identifiable, even technical underwriters had fun whilst learning! 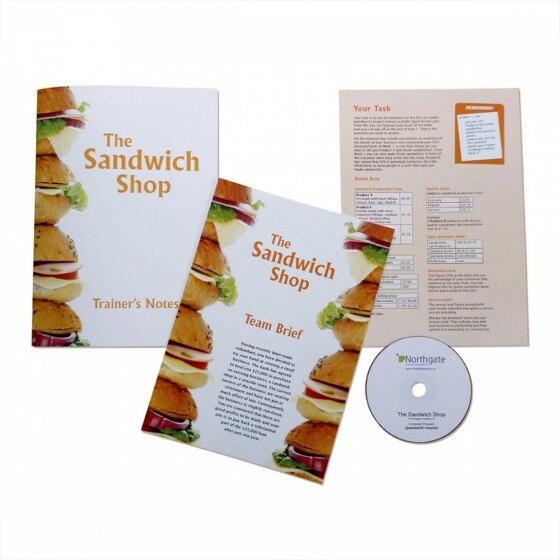 Used with technology managers as part of teamwork training, the best learning points included managing the time available, and listening skills. A fun way to get to work with your colleagues. The activity stimulates a lot of discussion, reasoning and negotiation. Very positive feedback from all the delegates, a great way to build a team! We are in the process of rolling out our Leadership Development training and have been using The Gym with great success! It has gone down really well with both my executive team and the delegates on each of the courses – has made them think quite differently about leadership!